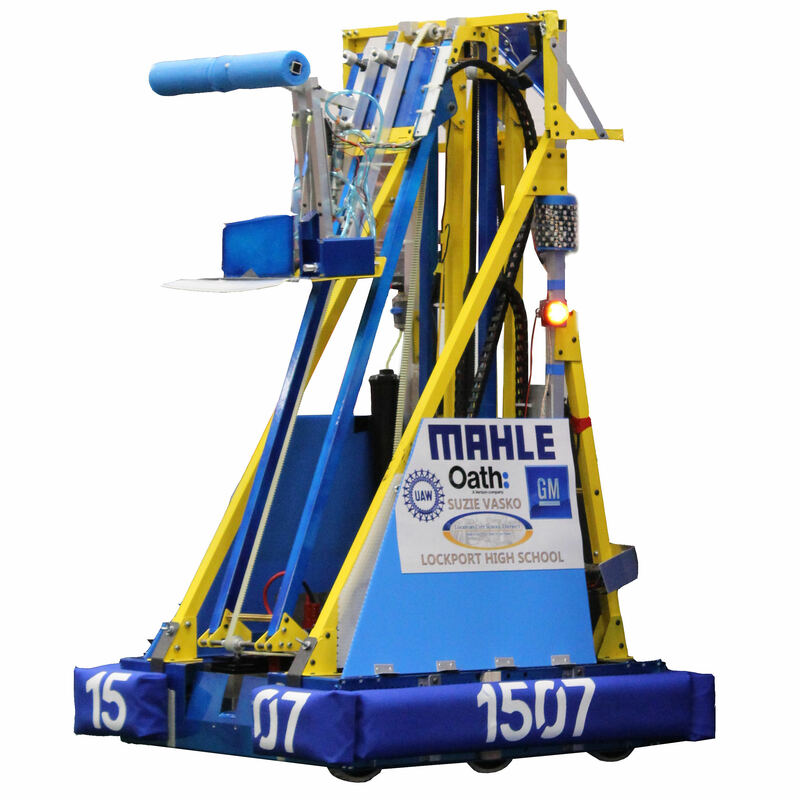 On February 20, 2017, the Warlocks held their annual “Media Day” to reveal our 2018 competition robot at Lockport High School. 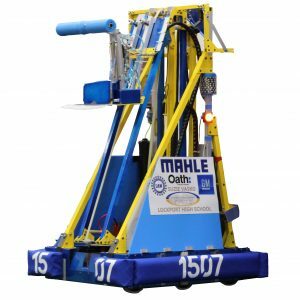 A journalist from the Lockport Union Sun and Journal was invited to come watch our robot live and in person. A reporter from Channel 7 also came, watched our robot, and interviewed one of our seniors, Emma, that was aired on TV later that night. The Warlocks demonstrated the abilities of our robot, which included: our multiple autonomous codes, collector, our ability to place cubes on both the switch and the scale, as well as the climber on our robot. The Warlocks are very pleased with how our robot, OTIS, turned out and can’t wait to head to competition.